Optia is available from stock in Metallic grey BR0007. The colours shown are reproduced as accurately as this process will allow and can be made to order on the identified products. The Optia is available in Metallic Grey (BR0007) as standard. A sensational new concept in space heating, the Optia is designed by Pietro Facheris and has a stunning appearance. 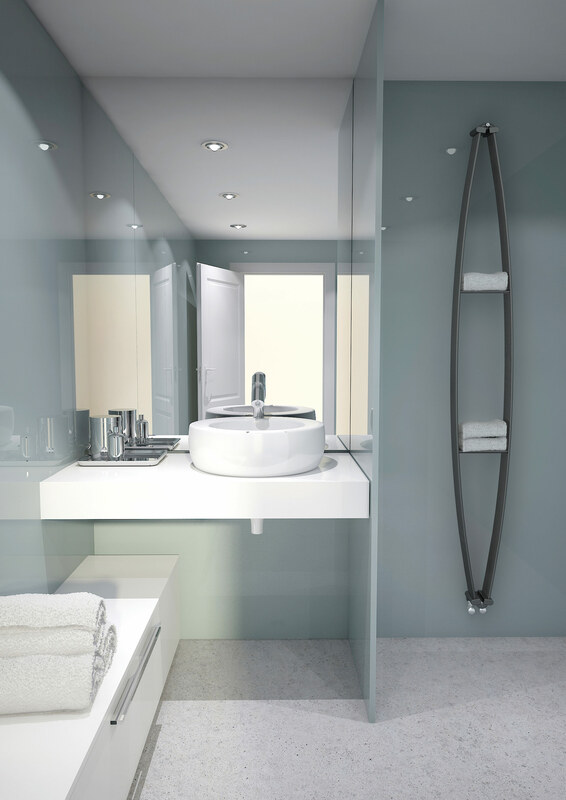 Affectionately known as the ‘boat’, the Optia has excellent heat output, together with shelving to stack towels. Finished in cool metallic grey and available in different sizes and outputs, the Optia offers excellent performance and is a functional towel warmer. Strictly controlled independent laboratory testing ensures that all Stelrad radiators are guaranteed to perform to a maximum working pressure of 72.5 psi (5 bar), and conform to BS EN 442, the European Standard for radiators.